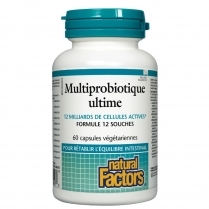 Improve uncomfortable, unhealthy digestion with this powerful probiotic; slow or prevent growth of candida albicans. Ideal for anyone with a history of antibiotic treatment or a high toxic load. Contains 12 billion live micro-organisms per capsule.